Wonderful autumn color can be seen throughout the garden. The oldest trees predate the founding of the Garden itself, while others were just planted in the Water Garden and Plant Family Collection. The katsura tree, just east of Oak Circle. One of the oldest trees in the Garden, this lovely vase-shaped tree is particularly spectacular in fall. Its leaf color progresses in bands from yellow to orange, then to pink and red. Rows of deep red scarlet oaks flanking Cherry Esplanade and a small grove of yellow-leaved ginkgos at the southeast corner. Black tupelos with brilliant reddish orange foliage in the Water Garden, and a variety of colorful sumacs and maples in the Discovery Garden and behind the Steinhardt Conservatory. With it's winding paths, erratic boulders, and alpine plants, the Rock Garden is enchanting in autumn. 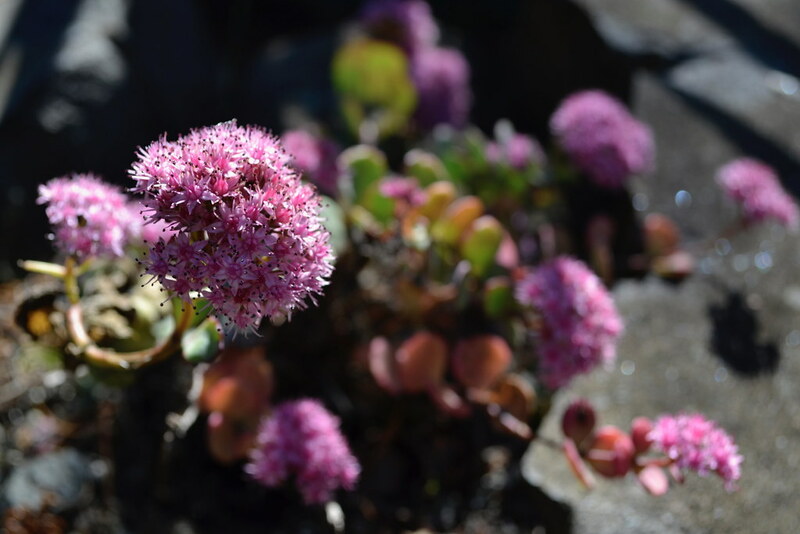 A variety of stonecrop species growing in beds among the rocks. Many bloom in autumn, and some produce colorful, succulent leaves. Gorgeous evergreens including spruces, junipers, and firs, many of them dwarf-varieties. Maples, dogwoods and other deciduous trees in fall color. Fall roses? Yes, after a glorious summer of blooms, a lovely second flush usually occurs in September, with flowers lasting into October or even early November. Fall is also the time to see hips, the fruit of the rose. Hybrid tea roses. Almost all of the modern hybrids have been bred to bloom repeatedly into the fall. The pink, double-flowered Rosa 'La France', a specimen located in the garden's westernmost bed, was introduced in 1867, marking the birth of the modern hybrid rose tradition. 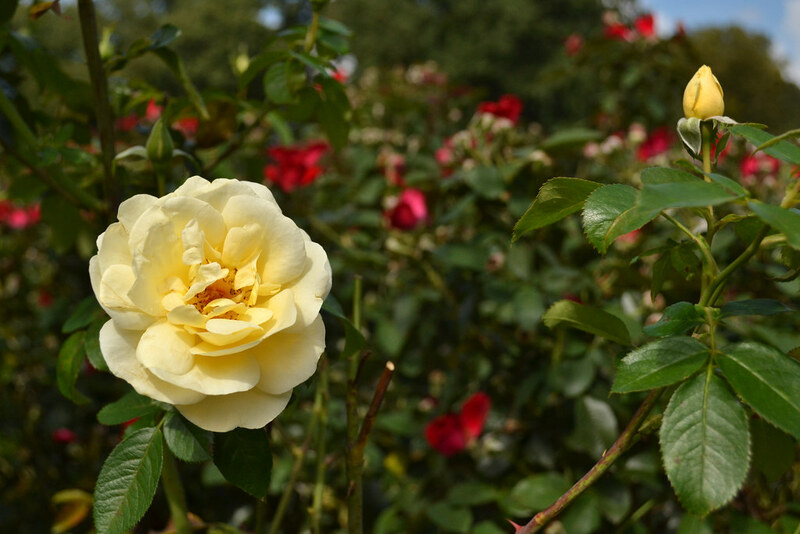 Grandiflora roses, like Rosa ‘Sunshine Daydream’, many of which are also beautiful fall bloomers. Rose hips in all shapes, textures, and colors—round, oblong, pear-shaped, spiky, or smooth, and anywhere from bright orange to deep red and black. The Cranford Rose Garden is also an excellent place to watch fall wildlife: Squirrels and birds come by to eat rose hips. Mockingbirds are especially frequent feeders here. You might hear their call before you spot one. 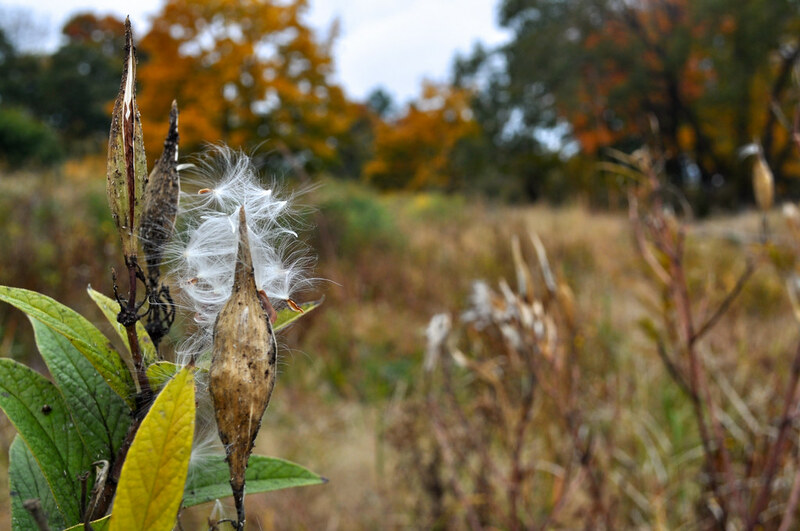 A lovely variety of native plants, many with fall blooms, foliage, and beautiful seed heads, in the Discovery Garden. The Bonsai Museum's carefully pruned specimens, also in fall glory. Pumpkins and other squashes in the Herb Garden, in a fantastic array of colors and shapes, as well as ripening apples, and colorful ornamental corn. Sprays of colorful, starlike asters in the Shakespeare Garden, Water Garden, and Discovery Garden. Rosa 'Sunshine Daydream' in the Cranford Rose Garden. Grandiflora. Photo by Blanca Begert. Asclepias incarnata (swamp milkweed) in the Native Flora Garden. Photo by Blanca Begert. 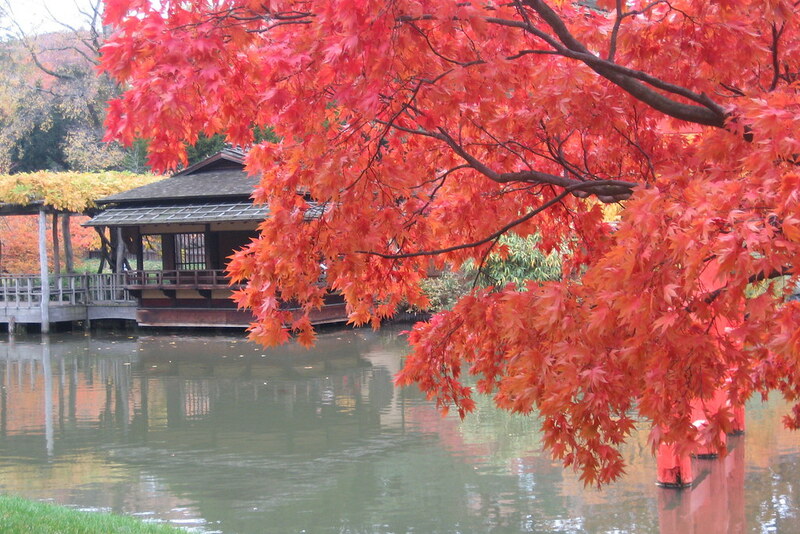 The Japanese Hill-and-Pond Garden in autumn. Photo by Dave Allen. Sedum sieboldii (October daphne) in the Rock Garden. Photo by Blanca Begert. 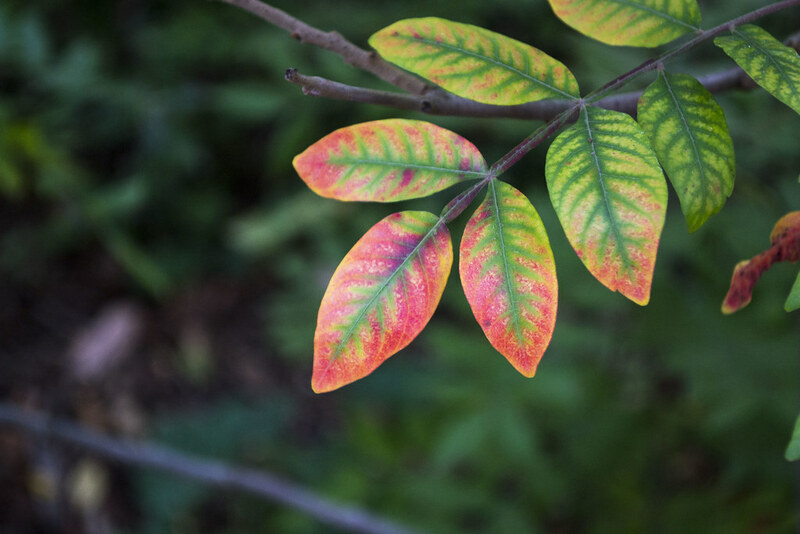 Rhus copallinum (shining sumac) in the Plant Family Collection near the Steinhardt Conservatory. Photo by Alvina Lai.